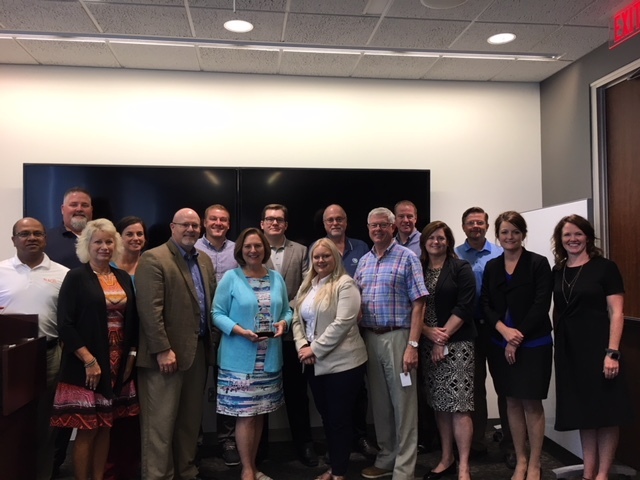 At a meeting with Nebraska ethanol producers and stakeholders from across the state, Senator Deb Fischer received recognition as a 2018 High Octane Champion, a new award given by Renewable Fuels Nebraska, the trade association for Nebraska’s ethanol industry. The award was developed by RFN and their membership to recognize those individuals in the area of public policy that have gone above and beyond on behalf of Nebraska’s $5 billion plus ethanol industry. The American ethanol industry remains strong, but many regulatory challenges, mostly at the hand of the US EPA, remain unresolved and the uncertainty has led to ethanol industry leaders calling for numerous changes at the agency. With the departure of former EPA Administrator Scott Pruitt, Nebraska’s ethanol producers are hoping that many of the lingering issues, such as year-around E15 sales, can be resolved in short order, allowing the ethanol industry to take at least one substantial step forward.